The free antivirus won’t be competing with our paid-for versions. 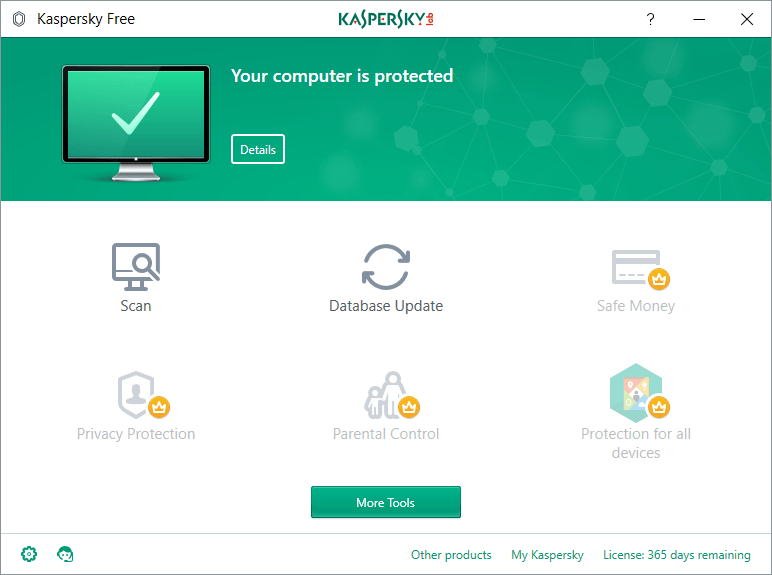 In our paid-for versions there are many extra features, like: Parental Control, Online Payment Protection, and Secure Connection (VPN), which easily justify the ~$80 for premium protection (on three devices). There are a lot of users who don’t have the ~$80 to spend on premium protection; therefore, they install traditional freebies (which have more holes than Swiss cheese for malware to slip through) or they even rely on Windows Defender (ye gods!). And based on those three deductions we realised we had to do one thing, and fast: roll out a KL freebie all over the planet! Last year the product successfully piloted in the Russia-Ukraine-Belarus region, in China, and also in the Nordic countries (that’s Denmark, Norway, Sweden and Finland, in case you were wondering). 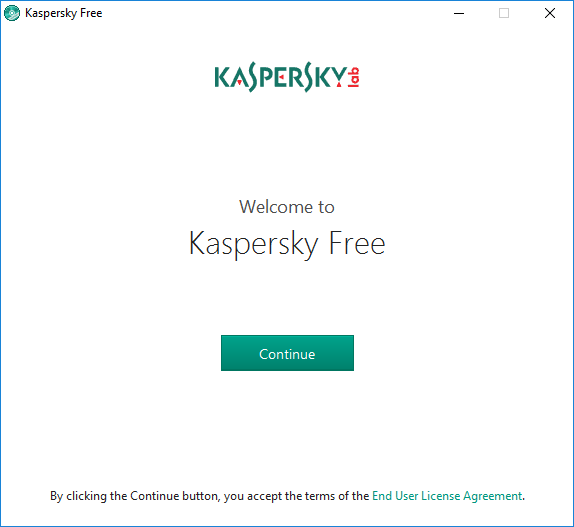 I say successfully… – that would be an understatement; for with practically zero promo activity Kaspersky Free was installed several million times, in doing so cranking up our market share considerably. Not that increasing market share is our aim; our aim is to raise the overall level of protection on the Internet. 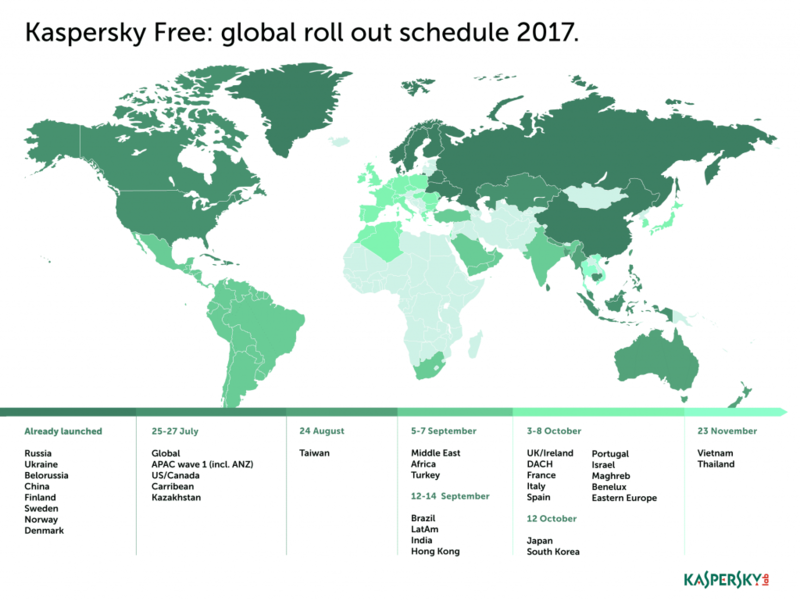 Anyway, here’s thanks to all Kaspersky Free users for helping us save the world! It’s a version with all the bare essentials: file, email and web antivirus; automatic updates, self-defence; quarantine; and so on. This arsenal ensures convenient and safe web surfing (is it still surfing? Sounds a bit 90s to me), working with USB sticks and other portable storage media, and protection against both phishing and infected files being run. In short, the indispensable basics that no one on the planet should do without. PS: We have plenty of other free utilities, you know; have a look – here!